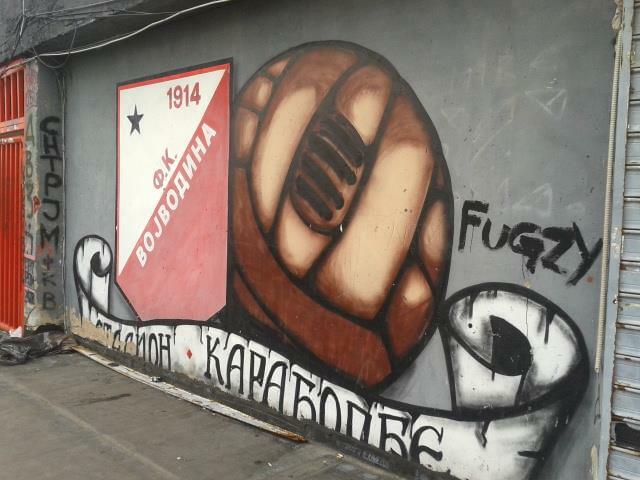 Belgrade (Beograd in serbian language) is one of my favorite destinations in the whole Europe. 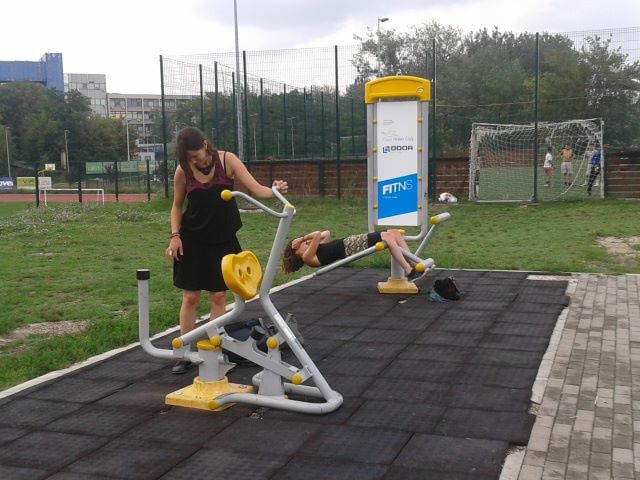 Belgrade is not an ordinary city, you will not be amazed by its beauty but you will remember the days spent here, because in Belgrade you really feel the city’s life, by easily getting in touch with locals. Probably it’s the best walking tour available in Europe, and you will fully understand about the city and its incredible history. Everyday, starting at 11, from the republic square, the young guide will wear a yellow t-shirt. It will take 3 hours but you won’t get bored! 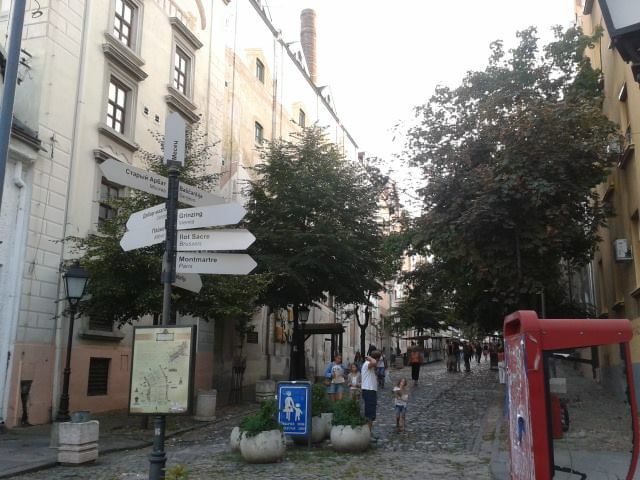 The tour will show you the very city centre, with many interesting, funny and historical details. 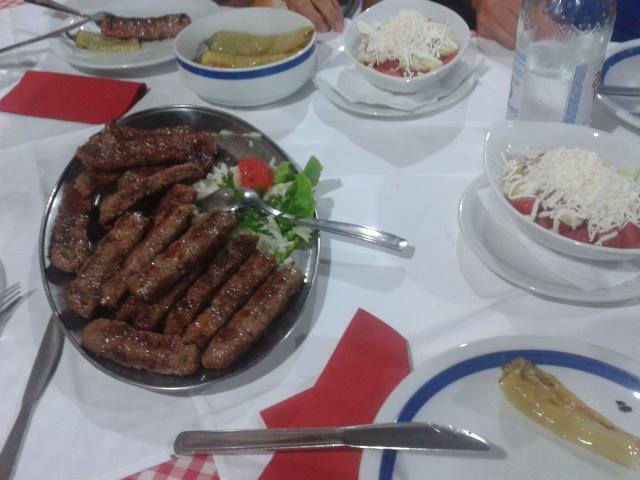 Serbs are very proud of their food, based on grilled meats and sausages, local cheeses and bread. Local produce is fresh and organic. Most Serbian restaurants offer roštilj, a large plate of various unseasoned grilled meats. Serbian cuisine is famous for its heavy use of varied vegetables, fresh or cooked. 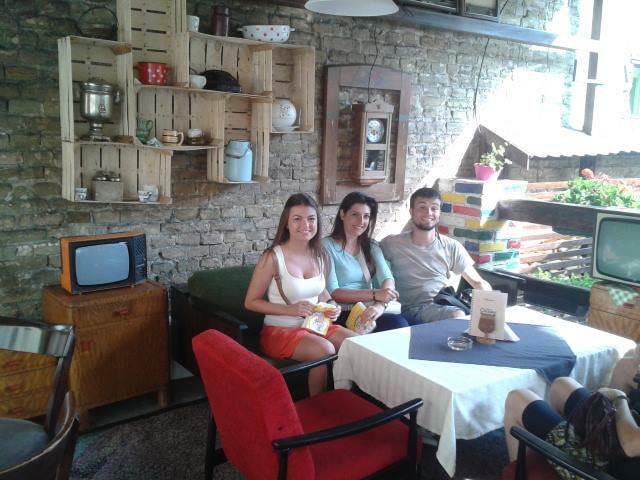 Snacking and eating on the go in Belgrade is easy and cheap. Local hamburger are called cevapcici, available in many parts of the city for a very cheap price. Bakeries (pekara) are everywhere and you will find a wide assortment of breads, sandwich, sweet and savoury pastries. The most common is called burek, a light snack and meal to be consumed together with a drinkable yoghurt (similar to kefir). Some of the bakeries are open 24 hours. The hostel is a clean apartment turned into a cozy hostel, with a roof terrace where to chill-out. The owners, Nigel and Dragan are incredibly nice and helpful, always happy to talk and give suggestions to guests. You will feel like at home. 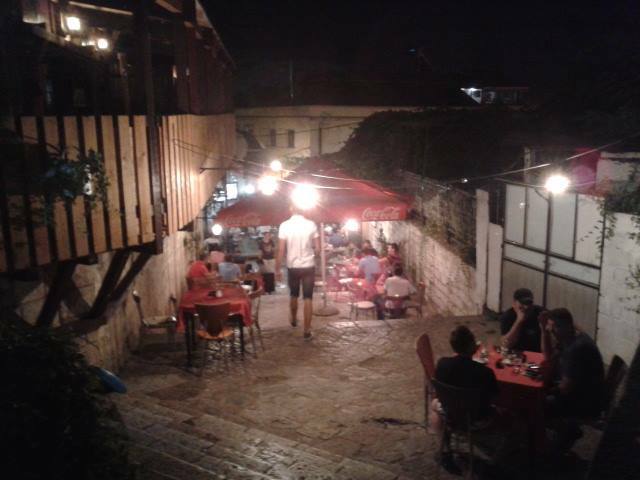 Location is probably the best you can have in Belgrade, in the heart of the former bohemian quarter, skandarljia, where famous restaurants for tourists are (expensive though), many other affordable restaurants and bars are close by. The biggest city market, where you can buy their organic veggie, meat and cheese, is only 2 minutes walking, same for 24hrs a mini market and local fast food stands. At night, there are plenty of bars, cafés and discotheques that are open, selling cheaply priced drinks. Belgrade is reputed to have some of the best night life in Europe. In summer nightlife moves to the splav, river boats turned into restaurant/bars/disco located along the Sava and Danube rivers. Serbians are naturally welcoming and warm-hearted people, full of nice sense of humor, together with brave and proud attitudes. 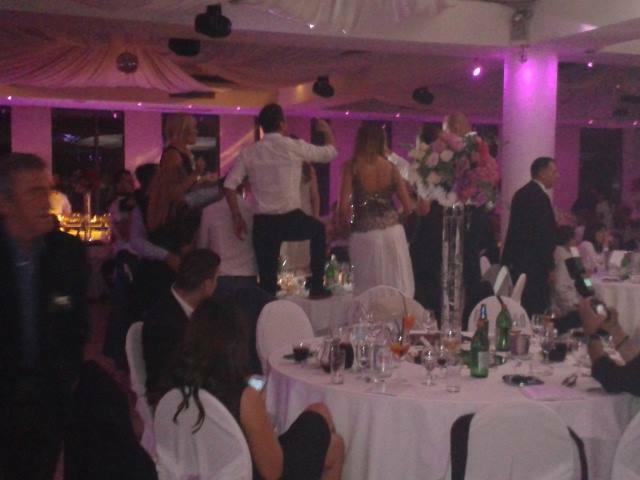 Serbs are crazy for sports, not only, they are VERY good at sports! Tennis, basket, water polo…are only few of the sports where this little country is at the top. 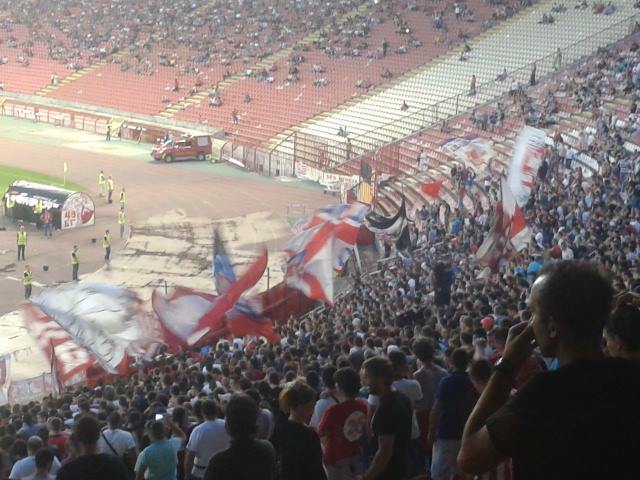 The local football derby, between Partizan and Red Star Belgrade (Crvena Zvezda, my second favorite club, after Napoli) is also known as the ‘eternal Derby’ and it’s considered to be one of the most intensive football events in European football, for the incredible supporting atmosphere, despite the poor quality of football. Due to the intensity of the rivalry, it is not recommended to wear either team’s colors outside the stadium during match days between the two sides. The two clubs have teams in other sports, basket for instance is very popular too. If you have time visit the Belgrade Arena, New Belgrade. It is the second largest arena in Europe and the largest in the Balkans. You will definitely be impressed by the architecture. 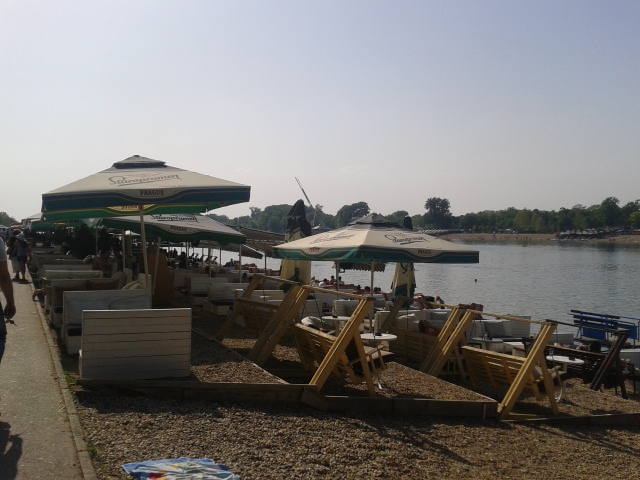 In summer is usually very warm and humid, enjoy Ada Ciganlija, a river island on Sava River with an artificial lake. The lake has an 8 km long gravel beach, which is visited by thousands of bathers during the summer. This is a great place for sports (area for football, basketball, beach volley, golf and tennis) and picnics. It also contains a lot of cafes and restaurants. In summer, it is swamped with people wanting to cool down in the water; Another option is the great War Island (Veliko ratno ostrvo), a river island at the confluence of the Sava and Danube rivers, for picnics and bird spotting. 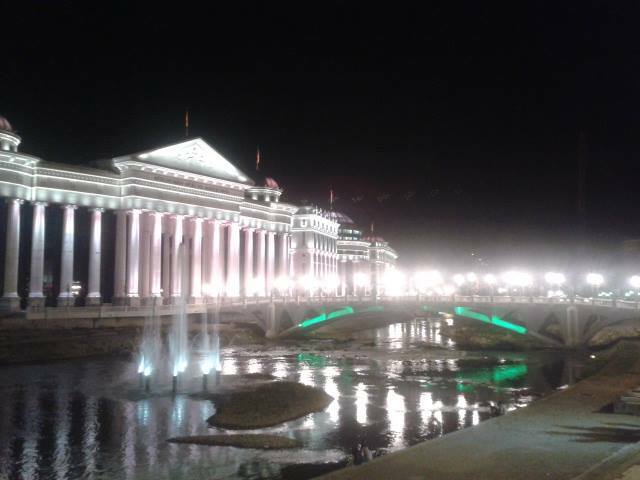 Skopje is the interesting capital of the Republic of Macedonia (officially the ‘Former Yugoslav Republic of Macedonia’/FYROM, due to a dispute with Greece over the history of this region and its name). The city (and the country) is divided by the two biggest communities, arab (albanians and turks) and orthodox (macedonians and serbs). You will admire Byzantine churches and monasteries, ancient Roman sites and Ottomans mosques. The 26th of July 1963 an earthquake destroyed 75% of the buildings in the city. As a result you will see many new buildings and statues in the city centre. The old bazar is the heart of the city and its real symbol, with many small shops, narrow streets, arabic cafè, restaurants and bar where to hang out in the night. In the past it was covered with wine grape, so it would protect the shoppers from the sun and the rain. The old bazaar was never used for living, it always was a shopping area and contact zone of the Christian and the Muslim population as they lived in separate parts of the town. Even though some parts of the old bazaar have been destroyed to make streets and parking lots, it still is the largest one in the Balkans and there is still a lot of atmosphere in it. It takes approx. 30/40 minutes to reach this beautiful place by public transportation (bus nr. 60). Ticket can be bought from the driver (35MKD). The bus runs every 90 minutes, therefore ask for the schedule times to not wait too long. Matka features a lake and a dam. Climbers and hikers enjoy a variety of trails of different difficulty there. You can see a complex of medieval monasteries and remnants of a fortress remain too. There is also a chance to rent a guided boat to explore the lake and some caves, but I wouldn’t recommend it. 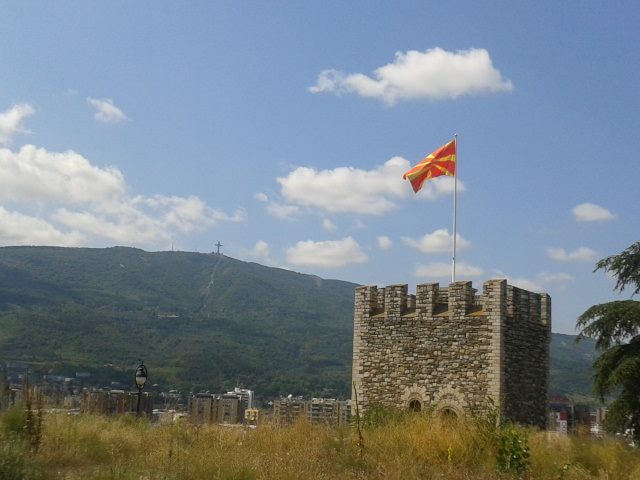 The Kale Fortress stands on the highest hill in the Skopje valley and offers great views over the city. It has free entrance. From the fortress you can admire Vodno Mountain a popular hiking place with marked paths leading through the woods and there are a couple of rest areas. On the top of Vodno the Millennium Cross was built to mark 2000 years of Christianity in Macedonia. It is 66 meters high and it is the highest structure in Macedonia. 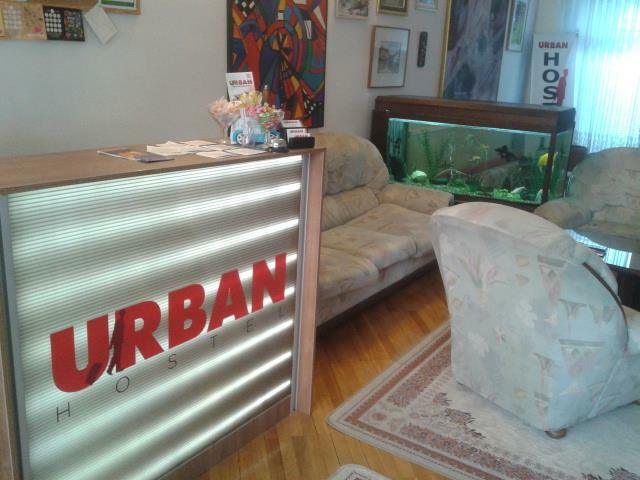 4- Stay at Urban hostel. It is a quiet and tidy hostel with nice rooms (with balcony), a front garden and a back yard. Breakfast is included in the price and friendly staff always willing to help. More for tourists rather than for backpackers, in my opinion, however it won’t be difficult to find good company and nice people to chat with. It s located in a beautiful zone not far from city centre, quiet and safe. Bars, mini markets and restaurants are at walking distance. Seat in a cafe by the riverside near the old bridge and spend some time there, at night this area becomes a lively party zone. 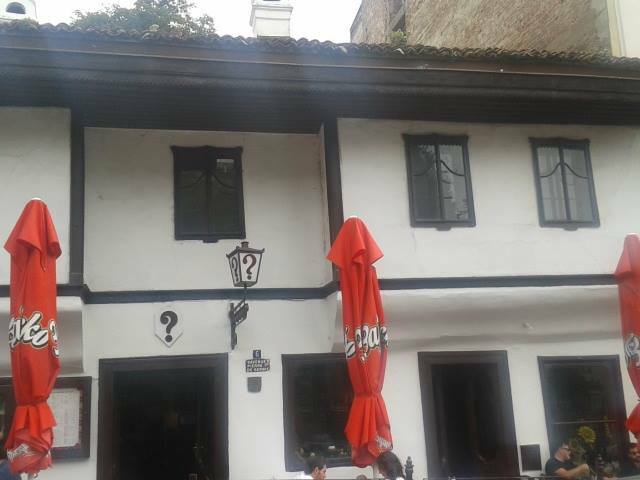 There are plenty of bars in the Old Bazar too, the nightlife there recently has become very interesting (favorites places by locals are La Kaña, Damar, Rakija Bar…). Nighlife is interesting too, better ask a local for updated situation. During summer the Skopje Summer Festival together with the Pivolend (beer fest) will pleasantly entertain your time. Skopje (like in the whole balkans region) offers a great mix of eastern european, ottoman and mediterranean cuisine style. There are many local bakeries all around the city where many Macedonians have breakfast and snacks. Salty pastries, called burek (a flaky filo pie stuffed with meat, cheese or spinach) are the dominant offer and they are usually combined with plain yogurt. Prices are very cheap and the quality of food is good. 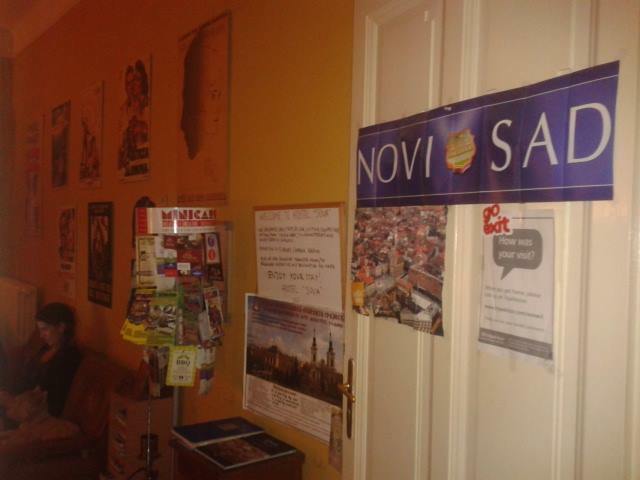 Fast photo-post regarding my few days spent in Novi Sad – Serbia. 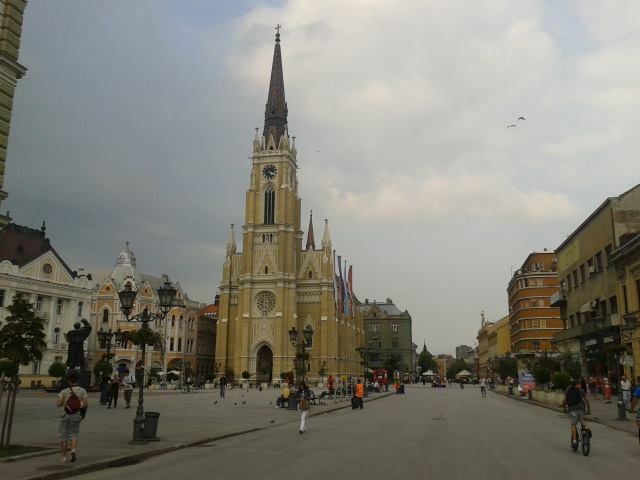 Novi Sad is the capital of Vojvodina, the northern Autonomous Province of Serbia. 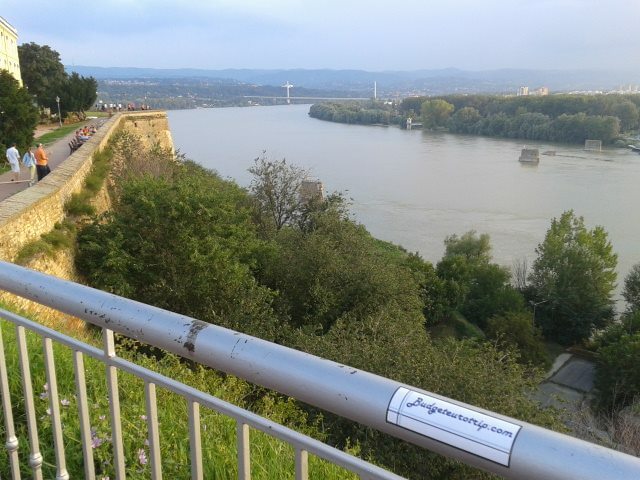 The city is situated on the Danube River between Budapest and Belgrade. 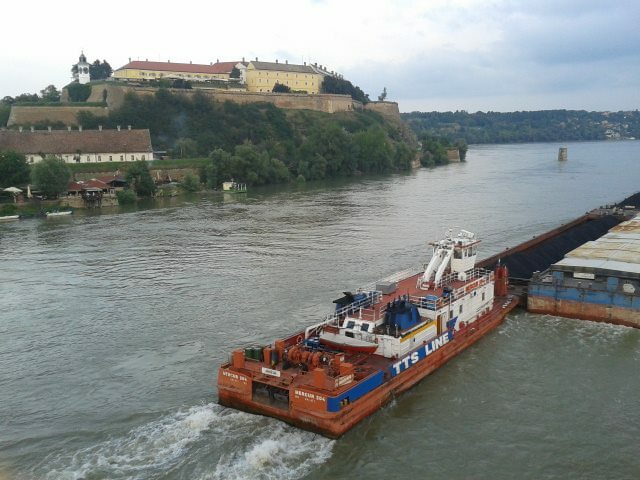 One of the symbol of Novi Sad is the fortress of Petrovaradin on the right bank of the Danube. A fortress that no enemy has ever taken. From Budapest, by train, buy the special train ticket for Belgrade for 15 Euro (intead of 22Euro for Novi Sad, which is closer to Budapest…). 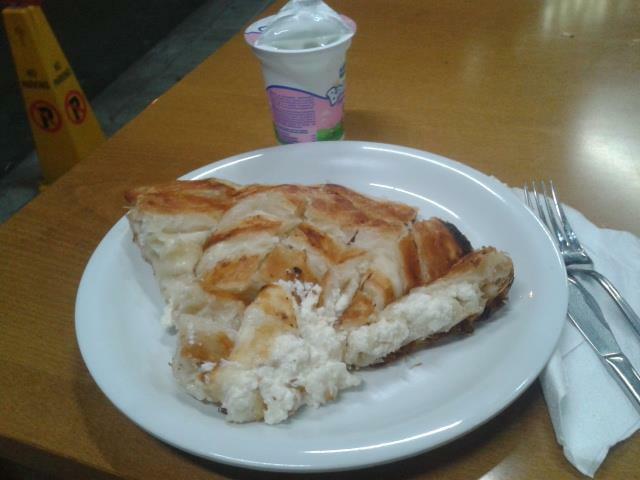 Eat a delicious burek/pita at Koliba, one of the best I have ever had in the balkans!